India end day one of the second Test against England at 317/4 after Virat Kohli and Cheteshwar Pujara score hundreds. India will be very happy with the first day’s play in Vizag as they reach 317 for the loss of four wickets. But they would have loved if they had not lost the wicket of Ajinkya Rahane in the second last over of the day. But centuries from Virat Kohli and Cheteshwar Pujara lifted them after England took two early wickets after asked to bowl first by Kohli. Then Kohli and Pujara shared a 226-run stand for the third wicket before Pujara fell for a brilliantly made 117. Kohli continued with supreme concentration and was unbeaten on 151 at stumps with R Ashwin unbeaten on one at the other end. 1452 hrs IST: The partnership between Kohli and Pujara has now crossed the 200-run mark! What an exceptional partnership this has been. After the first hour of play, it has all been India all they way! 1411 hrs IST: A dog has come on the field and he has stopped play. Two balls into the Stuart Broad over. Pujara is on 97* and will that break his concentration? If the we have play! And @cheteshwar1‘s footwork against spin is as precise as can be. This is brilliant 1st day batting. 1210 hrs IST: Players back on the field for the second session of play in Vizag. Virat Kohli will take strike as James Anderson comes on to bowl the first over after Lunch. England need some wickets here. Should Moeen Ali been used earliere? 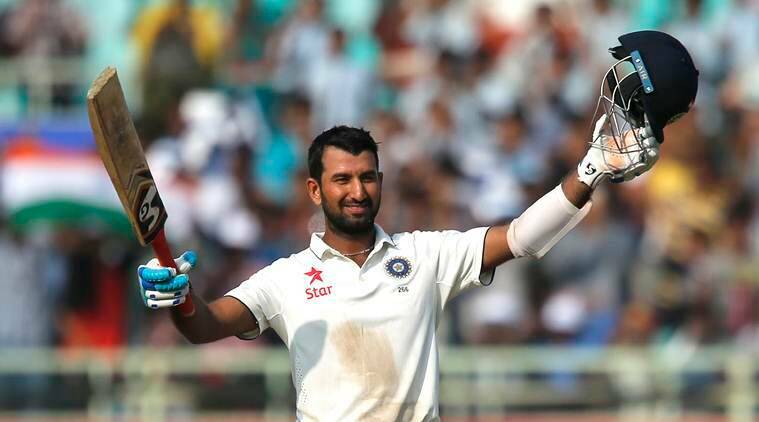 1041 hrs IST: Lovely batting from Pujara! He takes six runs off the total seven in the Ansari over! India move on to 62 for the loss of two wickets after the 15th over. 1014 hrs IST: Virat Kohli is up for the challenge against James Anderson! Drives him for two boundaries in that over to take eight runs. India move on to 36/2. In the batting department, India will be happy to see the return of KL Rahul who was sidelined for more than a month due to a hamstring injury he sustained in the opening Test against New Zealand. This means that Gautam Gambhir has to be left out of the playing XI. For England, their leading fast bowler James Anderson is back but it will be interesting to see if he can make it to the playing XI. Their spin trio of Adil Rashid, Moeen Ali and Zafar Ansari will once again share the responsibility to bowl out India on this pitch.